3201 Brownsboro Road is no longer on the market. For more information on Crescent Hill homes for sale, call the Hollinden Team at (502) 429-3866. Welcome to 3201 Brownsboro Road! Built in 1938, this charmer features modern-day updates but also retains its original beauty. This home is located in Crescent Hill directly across from Crescent Hill golf course which includes a park and playground. 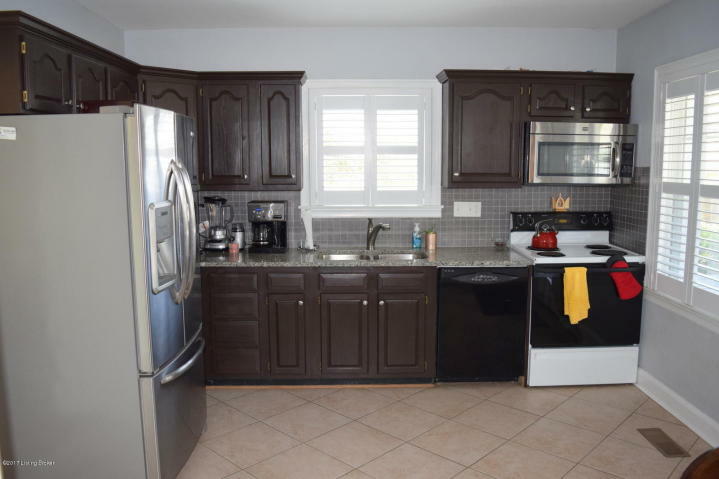 Upon arrival, you will notice the large front yard with a well-maintained landscaping. This home is brick (some siding in the rear of the home) with a beautiful stone accent on the front. Enter through the front door into the foyer. 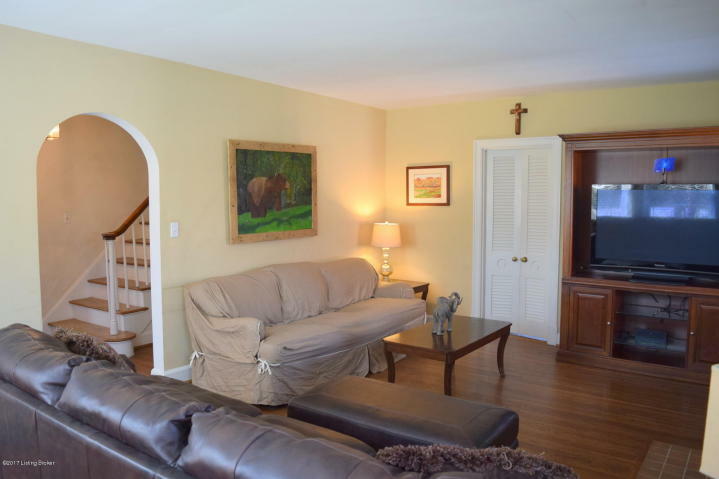 There is an arched doorway and hardwood flooring from the foyer to the remainder of the home. Arched doorways and hardwood floors can be found throughout a lot of the home, adding character. In front of the foyer is the stairway to the second floor. To the right of the foyer is the living room. The living room features a fireplace with mantle and bay windows that let in a lot of light. This room also has a neutral paint color, making decorating a breeze. This same color can be found in the majority of the home. Exit the living room and move into the eat-in kitchen. The eat-in kitchen is equipped with black, gray, and white granite countertops, stainless steel appliances, a backsplash, mocha colored cabinets, tile floors, and windows with views of the backyard. You will have a lot of versatility with color palettes based on the granite and cabinet color. Move from the kitchen to the dining room. The dining room has a chair rail and up-to-date light fixture. Currently, this room has a six chair table but definitely has room for a table much larger to entertain guests. Also, on the first floor is a half bathroom. This bathroom has a neutral color palette, making it easy to personalize as you please. Moving to the second floor, you will find three bedrooms and a full bathroom. In the hallway, there are floor to ceiling cabinets for extra storage. 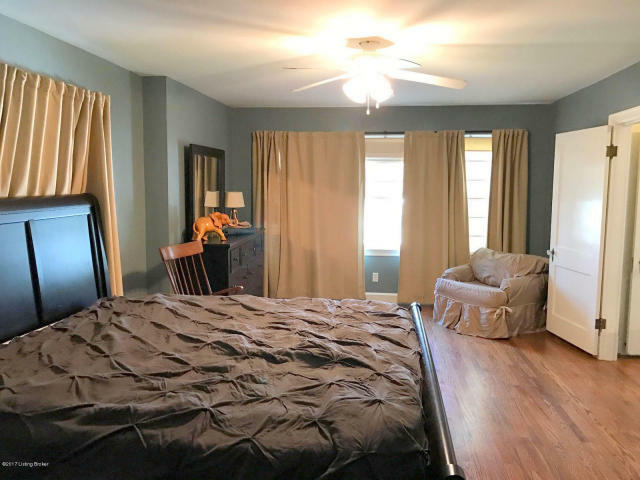 The owner's suite is spacious and features a trendy paint color. There are also double closets in the owner's suite, providing plenty of room for clothing and storage. Similar to the bathroom on the first floor, the full bathroom on the second floor has a neutral color palette as well. The vanity is white and so is the tile, giving a clean look to the bathroom. This home also includes a partially finished basement. There is a nice open finished space that includes a bar. Move outside of the home into the backyard, and you will find a spacious flat space for entertaining. The backyard is completely fenced in with a wooden fence. There is also a detached two-car garage in the back of the home. 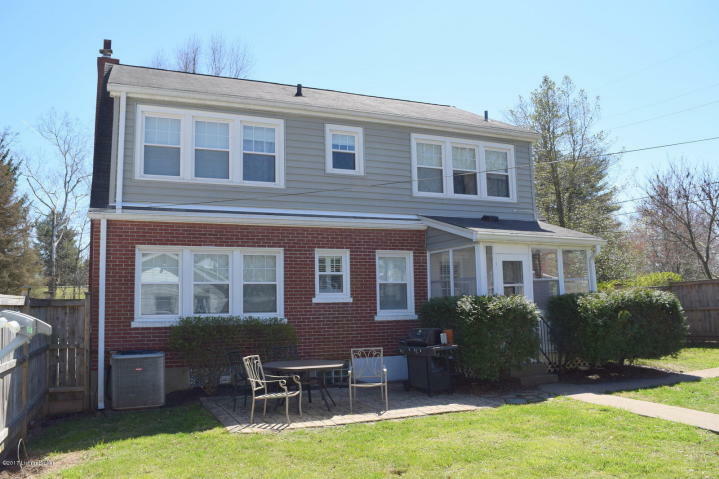 This home is a great opportunity to move to the desirable Crescent Hill area. 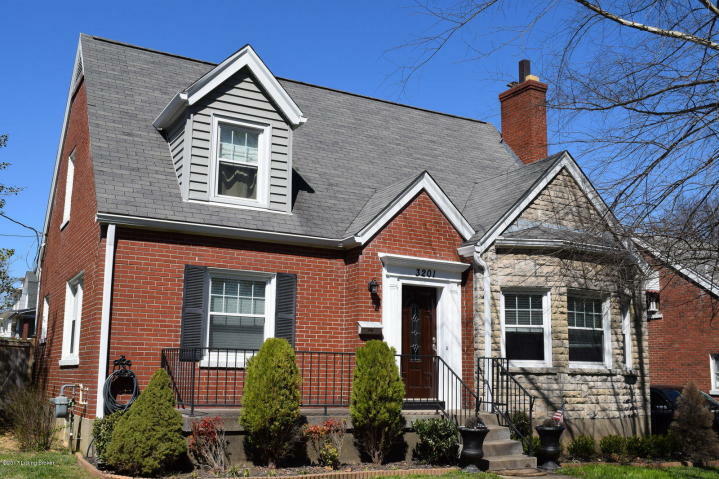 This area is centrally located to everywhere in town; Downtown Louisville is within minutes away. For more information on this homes for sale, call the Hollinden Team at 502-429-3866.